Road cyclists in and around Madison, Wisconsin. Pre-hydrate. If it’s going to be hot, hit the fluids early. Have a cold bottle of water or sports drink nearby for at least an hour pre-ride. I would suggest at least 18 ounces of liquid before even getting onto your bike. Dial back the osmolarity of your drink. The carbohydrate concentration, electrolyte content and any other additives all increase the osmolarity of a sports drink. Osmolarity is the number of particles in a solution, and the greater the osmolar concentration, the slower the gut will empty, which leads to intestinal distress.³ Most sports drinks are formulated with a 7 to 8% carbohydrate solution, which for most individuals is optimal for balancing energy demands and digestibility during exercise. However, if you are having gut issues, you should consider reducing this concentration to around 4%. A 4% solution will still offer a sufficient supply of calories, especially if your consumption increases in the heat. What else does your sports drink contain? Protein, fat, bok choy? Although, all these things may be good for you, they will all cause an additional delay in gastric emptying so you may want to consider consuming them at another time when your gut is actually working. Electrolytes. Electrolytes have been heavily touted by the sports market industry and many athletes believe that more is better (still waiting on some research to substantiate this). Electrolytes increase the osmolarity of a sports drink. If you are experiencing gastric distress then it is important to take a conservative approach to electrolyte replacement. 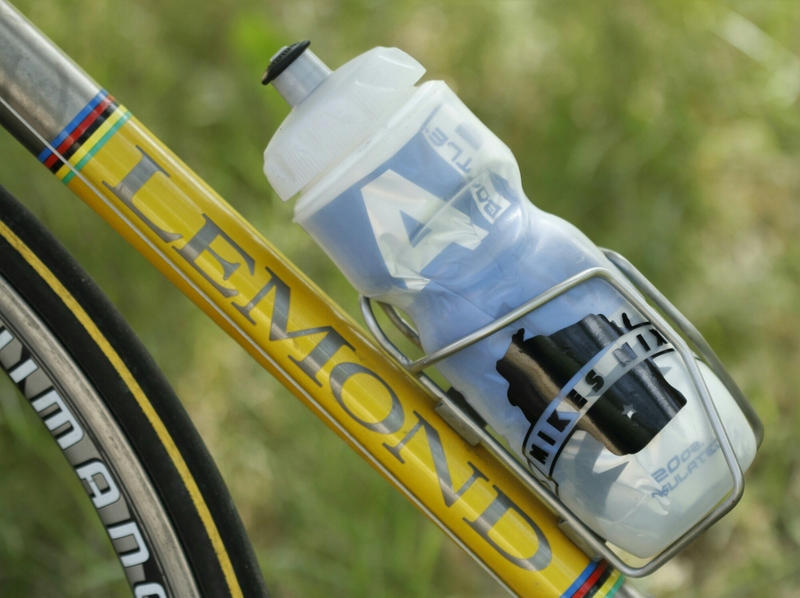 A large bike water bottle holds 24 ounces. Start with 300 mg of Na (Sodium) as a base line. Train your gut. Find a sports drink you like and stick with it. Much like you train your muscles and heart with persistent physical workouts, train your gut with frequent drinking during your workouts. Develop confidence and familiarity with the beverage of your choice and bring your own drinks to events as what is being provided is most likely at least somewhat different than what you have trained with. You know who makes a good simple and tasty sports drink powder? 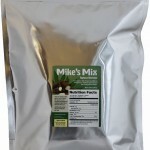 Mike’s Mix! Having gut issues? 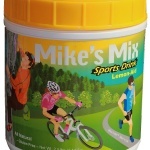 Try mixing your Mike’s Mix Sports Drink at a 3.5% carbohydrate solution (one scoop per quart of water). This provides 250 mg of sodium. If your gut handles this without issue, you can try to increase the concentration. Interested in putting more work into your hydration? 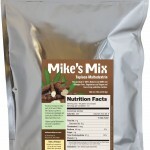 Mike’s Mix sells the finest sports grade Tapioca Maltodextrin and Tapioca Dextrose. Although I don’t sell sea salt, it is cheap, available at any grocer and is nearly identical in electrolyte composition to what is lost through sweat. The same can be said for sucrose (table sugar), which will provide a source of fructose (sucrose is composed of one molecule of glucose and one of fructose). Please leave comments with questions, concerns or even ridicule. Let’s me know folks are reading these posts.